Bogus Magus reports at the Maybe Logic blog, "Our very own PropAnon has landed a book deal with TarcherPenguin, to produce a book entitled "Chapel Perilous: The Life and Thought Crimes of Robert Anton Wilson" due in 2017." Friends, I am happy to let you know about an exciting new project here at TarcherPenguin: "Chapel Perilous: The Life and Thought Crimes of Robert Anton Wilson" by Gabriel Kennedy. This is a biography of one of the greatest esoteric philosophers and literary adventurers of the 20th century: Robert Anton Wilson (1932-2007) , who dared to take seriously questions of the occult, other dimensions, and weird-but-plausible forces – yet Wilson never became a hardened ideologue and always pushed back at settled belief systems (including his own). Writing in a voice at once scholarly and street, Gabriel – known in underground culture as Propaganda Anonymous (his "Squat the Condos" album presaged Occupy Wall Street) – demonstrates how Wilson’s heroic uncertainty and attitude of experimentation just might save us in an age of coarseness and encamped opinion. Look for it in 2017! 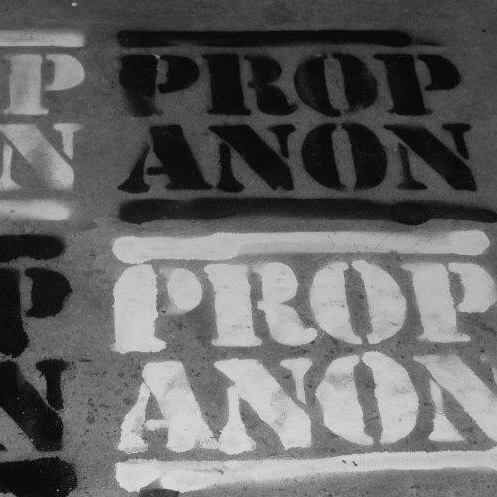 Here is my 2014 posting on Prop Anon. Wilson certainly deserves a biography, but John Higgs should write it. I'm very excited to hear this. And thanks for that thought Fyrefly, though I've long been of the opinion that a RAW biography needs to be written by an American, if only for practical reasons - it would need a lot of interviews and hanging out with those who knew him, I think, to capture him properly. What I couldn't understand was, with over 300 million Americans, why was it taking so long for one to step up? So, I'm really happy to hear this, I like the title very much, I confess I don't know anything about the guy writing it but can't wait to see what they come up with - and I'll be pre-ordering this as soon as! I can't wait! I hope that the author takes into serious consideration how much St Bob means to his fans and gives him the honor, respect, and dignity he deserves. The author is undoubtedly a great person who write so intelligently. The bibliography samples provide bets writing techniques which is awesome.